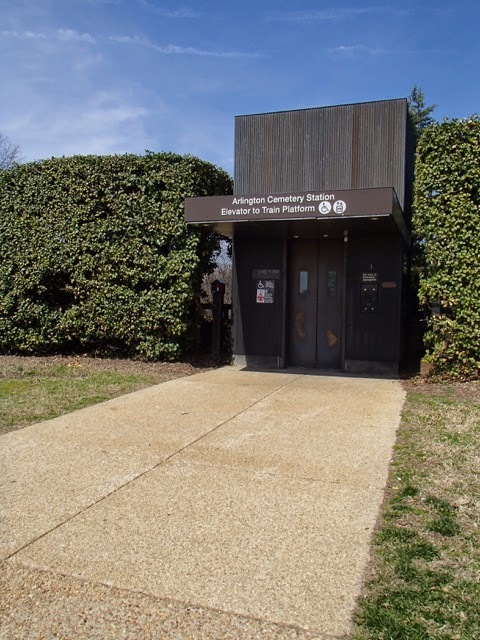 It's convenient when you only have to take one elevator to get from the train platform and street level, which is the case for both sides of the platform at Arlington National Cemetery. 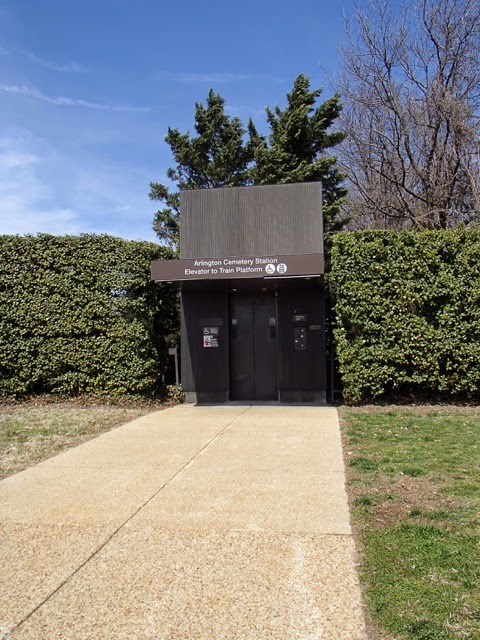 But since it isn't a center platform station, there are two different elevators. They are actually some of the easiest ones to find for an underground station. 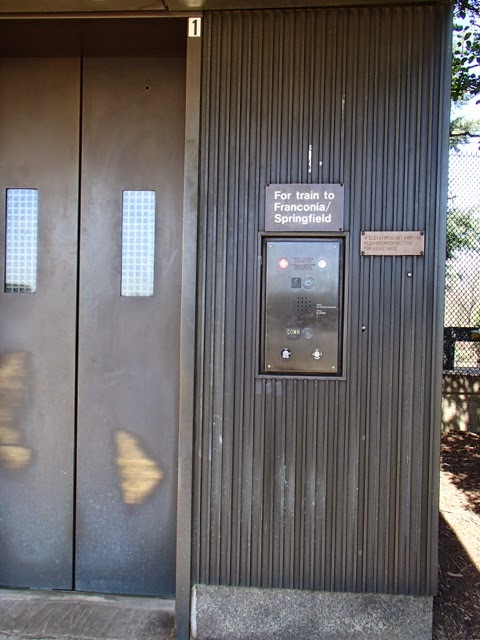 It isn't really that difficult to figure it out (there's a sign above call buttons) and they are very close to each other, but it would be even better if the top signs clearly labeled which platform they go to.